Midnightsky Fibers: Package Swap- Pics! I just finished up my favorite swap I have done in a long time through a swap on oh, hello friend. The goal of the swap- besides sending lovely little gifts to other people- was to send it in beautiful packaging that makes it really fun to open. Which has me wanting to do some more awesome packaging for my shop (but still using only recycled or re purposed materials, which makes it harder). Anyways. You can check out the flickr group for the lovely package exchange for lots of pretty pictures of packages. Handspun yarn from Midnightsky Fibers (of course! 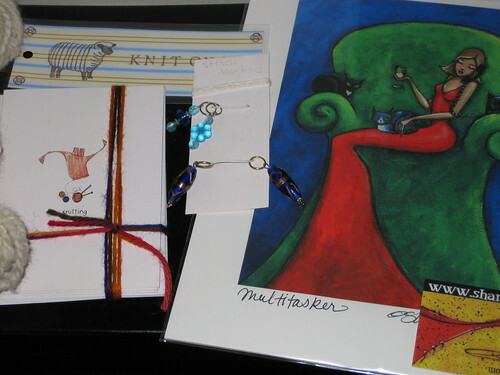 ), knitting goodies. One of my swap partners really likes cats, so I sent her a cat themed print from another small artist. 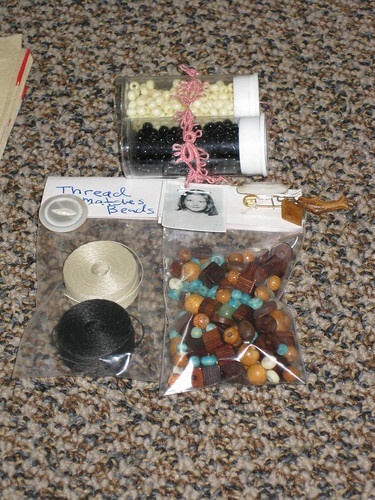 A mini collection of beads and thread, plus hand tatted lace I made. 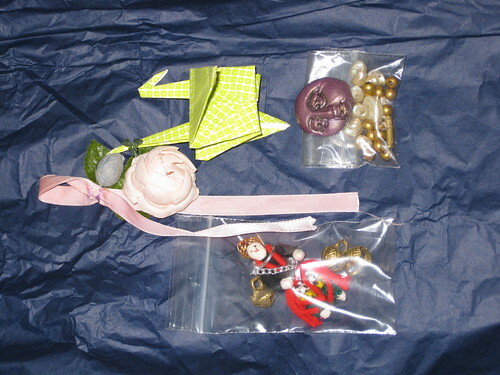 Tiny metal bells and other small crafty supplies for embellishment. Love my awesome swap goodies Jenn! 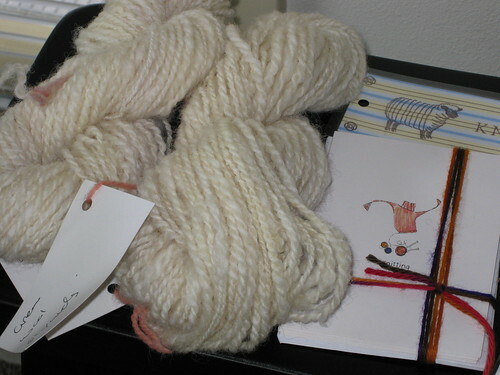 I can't wait to knit up the yarn --- it's gorgeous :D! Thanks! I would love to see pictures of how it turns out!